Whether your hiking one of the many trails or driving a motor route through Cades Cove or Roaring Fork, there's nothing like the beauty of the Great Smoky Mountains. 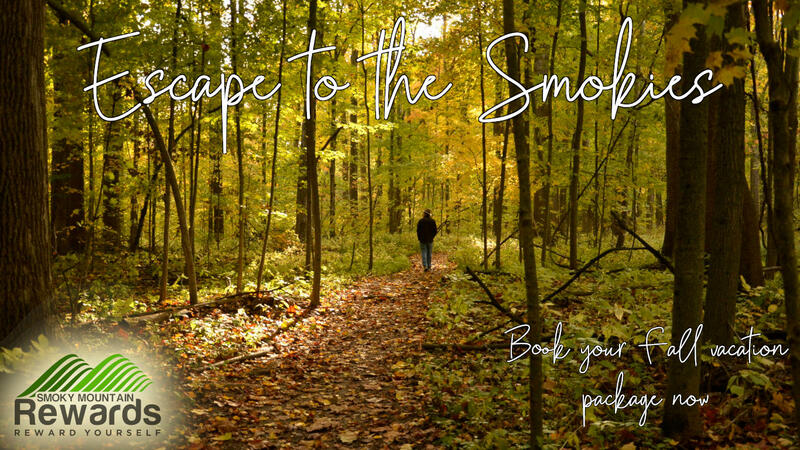 Reward yourself with a Smoky Mountain getaway this fall, and we'll include a durable outdoor blanket, two water bottles, a park map, and a plaid tote. Choose the 'Fall Escape' package when booking any of our rooms for your stay September 8th through November 3rd. This special is bookable between November 4th, 2018 and November 2nd, 2019 for stays September 8th, 2019 through November 3rd, 2019.This special requires 1 day(s) advanced booking. Not valid in conjunction with any other offer, package, coupon, discount, online or group rate. Does not earn Smoky Mountain Rewards points. Unused package items are nonrefundable. Minimum stay may be required. Member of the Smoky Mountain Resorts Hospitality family!